Now I know by the title you assume I am talking to my husband, but you would be incorrect (well maybe partiallycorrect). I often find myself falling backwards onto the couch in the old “Nestea Iced Tea” plunge style at the end of my day. 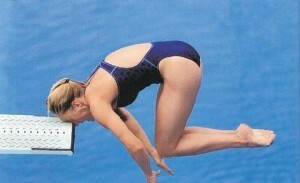 My plunge, however, does not look nearly as graceful as the choreographed commercial one and it is far less satisfying. Nonetheless, I am a tired dang hot mess in a dress by 9pm. As for who I am directing my comment to, well, anyone and everyone who speaks to me after 6:00pm Monday through Friday and some Saturdays. I truly do have a dang headache most nights lately and I haven’t figured out if it is the effects of the workday, the “not-so-smart” (nice way of saying stupid) people and their horrible driving, kids screaming, bill collectors calling (not that I answer), dance classes, class projects or a combination of all of the above. IT IS also quite possible that I ate more than the normal daily allowance of chocolate or that I skipped breakfast and lunch that is to blame since both of those can cause a headache, so I have been told. Whatever. The bottom line is that I have become really good friends with Motrin and other than the occasional worry that my kidneys or liver may eventually give out, it is a great relationship. Headaches are an unpleasant part of a busy life and unfortunately the way to get rid of them usually involves peace and quiet, which rarely happens in a house with children. Actually, it never happens in my house. I seriously think my kids have been preprogrammed, maybe even paid off by Motrin, to wreak havoc….daily. The one great thing about headaches is that they can get you out of almost anything. “Mom, I need….” “Not right now sweetie, I have a headache.” “Honey, I was thinking….” “Not right now honey, I have a headache.” See how easy that is? There is nothing else to say. The headache implies that the conversation is over. Just as a side note, however, I rarely use the “headache” on my husband, but it’s nice to have on standby. I am sure that when our season ends down here in South Florida and all of the snowbirds, that cross six lanes of traffic to get to the early bird specials, go home and the kids are out of school for the summer and we have less directions to go in a day, the headaches will slowly subside. Until then, if you need to speak with me, I highly suggest you do it before 6pm.